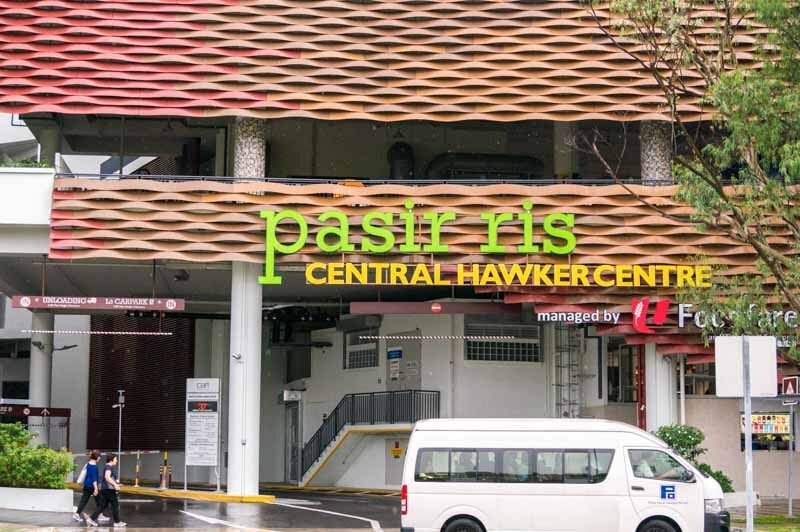 Opened early this 2018, the Pasir Ris Central Hawker Centre offers an eclectic range of hipster food within a vibrant and modern atmosphere of geometric-patterned, colourful tables and seats. Journeying to the East of the East for food sounds silly, but Daburu will make your trip worthwhile with their sizzling hot buns and hot plates of Western fare. Boasting a bright yellow signboard with bold letters reading “Daburu” (which means “double” in Japanese), the hawker stall makes sure their dishes double up not only in terms of taste, but also size. Good things do come in pairs as the stall was opened by a duo, Sherwin Lim and Lau Leslie, who has created fun inventions of double-sized seared chicken chops and supple pork belly buns. The seating area by the stall was brightly lit with sunlight and huge ceiling fans towered over the tables painted with vivid colours and hip designs. While the traditional rustic appearance of a hawker centre was clearly missing, it was quite a fresh experience to be in a contemporary and stylish setting for a change. Before we got down to trying the stall’s main offerings, we whet our appetites with some Curly Fries ($3.90). We opted to have it drizzled with goopy Nacho Cheese ($1), and portion-wise, you could share the a la carte order with a friend or two if you’d like to leave some room for their hot buns and plates. To my pleasant surprise, the fries weren’t oily but still retained their crispy texture while the melted cheese generously coated each curl. The additional dollar to add cheese was definitely worth it — it’s cheese, after all. The curly fries lived up to the whole “double the size” motto, and their napkins printed with a simple “use me as a bib” doubled the fun, getting us hyped up for the upcoming food. When the Champion Chicken Chop Hot Plate ($7.90) was served, my eyes widened at the sheer size of the chicken chop – there was even a small piece hanging over the edge! Looking at it top-down, I could see the nicely-swirled spaghetti with tomato sauce, slices of fresh cucumbers and tomatoes, a handful of buttered corn and the golden-brown chicken chop draped across the piping hot plate. As I was cutting into the grilled chicken, the crispy skin let out a satisfying little crackle. The meat was extremely tender and juicy, albeit a little salty; this is what you’ll want when you’re searching for some comfort food. While the standard choice of sauce is Pepper Brown, I tried the Italian Tomato ($0.50) sauce for the noodles which was on the sweet side. If you’re feeling more adventurous, change your choice of carb to Garlic Rice ($0.50) or Curly Fries ($1.50) at additional charges. For a protein explosion, you can even add-on a Sunny Side-up ($0.60) as well. Having seen and gobbled up the sizeable chicken chop, I couldn’t imagine how the hot buns would be like. Lo and behold, the Deluxe Pork Belly & Hamburg Hot Bun ($7.90). It came stacked with two long pork belly slices and a beef patty, topped with caramelised onions and sweet mayo, all sandwiched together by oval-shaped buns. Fresh lettuce, cucumber, tomato slices and coleslaw with a light sesame dressing accompanied, or rather, were eclipsed by the hefty buttered bun. Make sure to hold it with two hands as you bite into this because there’s no way you can keep it all together with one! The winner of the dish was hands-down the pork belly slices. Cooked sous vide for 24 hours and seared for a crispy layer, the fats and meat melted on my tongue, complemented with the piquant, sweet mayo sauce and caramelised onions for a mild yet zesty finish. The beef patty was juicy but slightly too burnt for my liking, but the buns were airy and soft. I’d recommend having it ASAP after it’s served before the bottom bun gets soggy! I was stuffed, but I couldn’t just overlook their newly-launched Grilled Salmon Hot Plate ($10.90). The usual buttered corn and slices of cucumber and tomato were served, and instead of spaghetti, I went for the Garlic Rice to try it with the salmon. Again, I have to give it to Daburu for staying true to the double-the-size concept because there were two slices of salmon instead of just one. Encrusted with pepper, the grilled pieces of fish were lying in a pool of viscous Pepper Brown sauce. The Pepper Brown sauce added to the equally peppery, fresh salmon which was good on its own, and the fragrant Garlic Rice paired well with the fish. Maybe because I’m obsessed with salmon, I couldn’t complain about the rather thin slices. And for such a huge portion and delectable sides, who could complain? 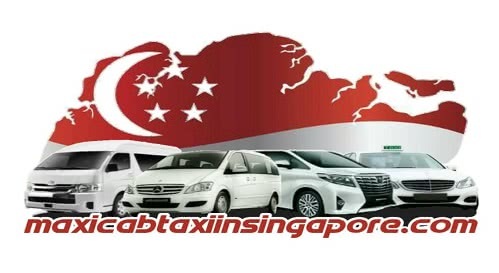 Given the affordable price points of the hot buns and plates double the size of your typical Western dishes at hawker centres, Daburu is a must-try not only for Easties, but fellow foodies searching for a good deal that doesn’t skimp on quality. It’s worth the distance and besides, the travel will prepare your stomach for the gargantuan meal you’re about to have.